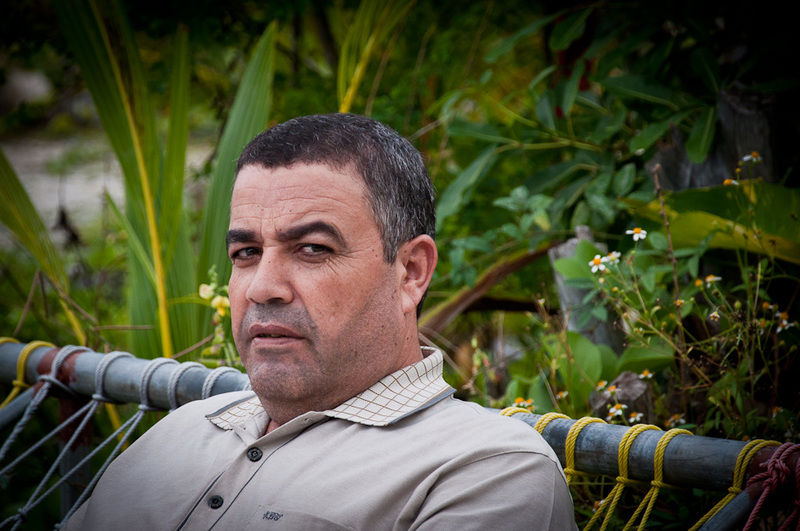 One of the many Arab speaking guys I met at Artificial Beach. I wonder who they are, expatriate teachers? Businessmen? I might be labelled racist or judgmental for saying this but I wish they do not in anyway disrupt the religious unity of the country. We are from different parts of the world, and though we may be of the same religion, our culture is quite a bit different from that of our brethren in Arab countries. I hope the middle eastern Arabs who come to work in my country do not bring in any religious fundamentalism with them. We have enough of that of our own here already. my bet, a Pakistani teacher! Maldives is truly becoming part of the global community. looks like a terrorist to me. We are NOT becoming part of the global community! Look at what we did to those israelis who came to help us? If we keep that going we are going to become very isolated from the international community! I agree. Lets not alienate all the foreigners who come to help us. if you "met" him why didn't you ask him what he was doing? ?